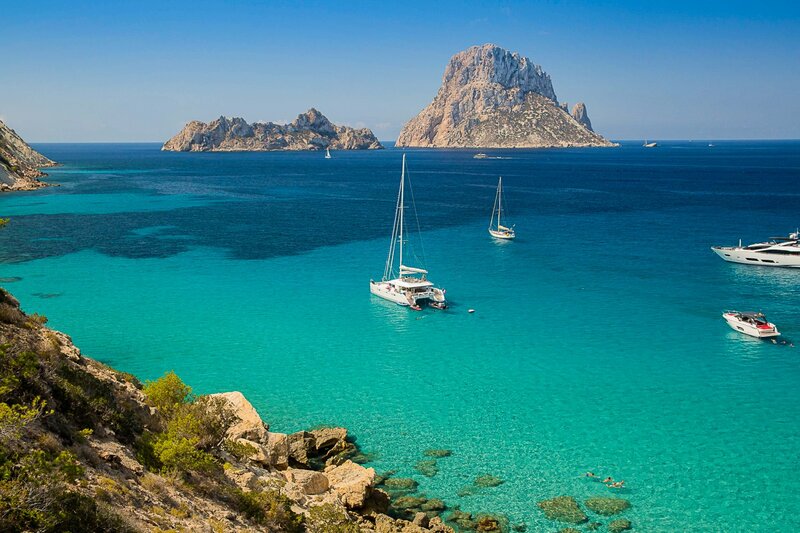 May hits and there's plenty going on to keep you distracted whilst on Ibiza. It's an event-packed month for sure. The super-clubs are back in force with Amnesia's earliest ever opening and a fresh look for Pacha. Plus, travel to Ibiza's past in the Medieval Festival or see some live performances featuring all kinds of musical flavours. There's something to suit us all - and yes, summer really is beginning! This free educational tour offered by Kayak Ibiza will teach you about about what makes Posidonia sea grass so important to Ibiza's sea eco-system. There will even be an opportunity to snorkel and see this noble plant. This is especially poignant, as a campaign has recently been launched to raise awareness and help project this rare plant which keeps Ibiza's waters crystal-clear. It goes without saying Ibiza has a colourful history. Various civilisations have settled here from the Carthaginians to the Moors to the Romans. Their imprint can still be seen within Ibiza Town's walled citadel, Dalt Vila where the Medieval Festival event takes place. There'll be lots of mock scenes and locals in Middle Age fancy dress and myriad market stalls selling products that hark from the past. Ibiza favourite Luciano is the headliner on the terrace, in what will be Amnesia's earliest ever opening. The Club Room will feature artists typically found on Tuesdays during the season. Bass peddlers DJ EZ, Hannah Wants and Disciples are the main attractions. This is one party that always tests our endurance. Ibiza isn't just about pulsating electronic music. The island's palette is far more diverse, as Sueños de Libertad showcases. The celebration of music and culture will exhibit one night of acoustic sets and two nights of dynamic live music. Acts such as The Original Wailers, Buika and Carmen Boza appear. Although the season has steadily started earlier and stretched longer in recent years, it's still IMS Dalt Vila which signals the official start, for us at least! The event has again thrown up some fantasy back-to-back pairs. But it will be magician Sven Väth closing after dark when the real magic will happen. ...welcome to burlesque in Ibiza's only dedicated festival featuring a crop of internationally-renowned artists. You can expect risque attire, over-the-top skits and plenty of stunts. The festival's sparkling finale happens at night spot and lavish eatery, Heart. Come along for a lesson in the age-old art of seduction. Some big changes happened at Pacha during the off-season. We're excited to see the new layout of the club after the winter refurb. Reigning King, Solomun begins his 2018 campaign on 27 May. We're also very keen to see how Cocoon settles into their new home on 30 May. French superstar David Guetta launches FMIF! in full fanfare on 31 May. The idyllic island of Formentera is deserving of its own musical identity, and now it is leading the way with the Formentera Jazz Festival. The impro-crescendo opens at Blue Bar on Thursday, with the programming running into June. Brass, keys and vocalists aplenty.